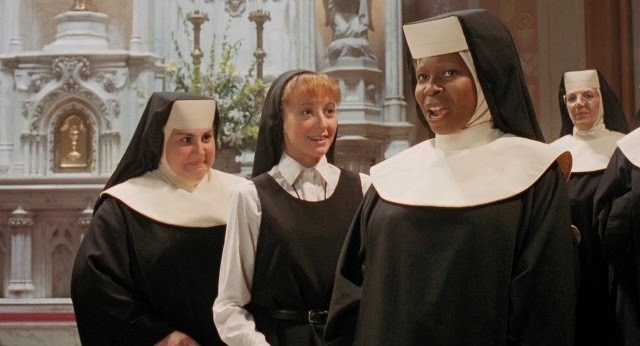 I would just like to say this before I begin: yes, today's Strong Female Character Friday is literally just an excuse for me to watch Sister Act again and call it "work". I am completely comfortable with that, and you should be too. Besides, she really is a strong female character, isn't she? 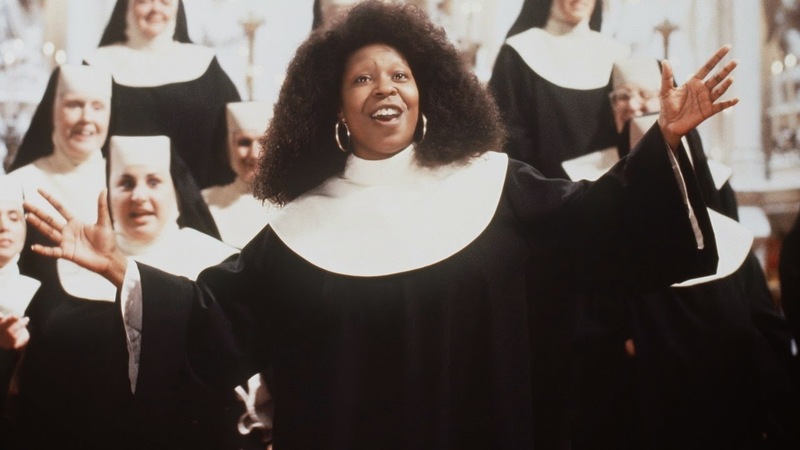 I would actually argue that along with Elle Woods, Danielle, and Wednesday Addams, Sister Mary Clarence (or Deloris Van Cartier, but I never think of her by that name) is one of the defining female role models of my childhood. Anyway, as I was recently rewatching the film, it occurred to me that some of the things I have taken totally for granted about this movie, largely because it came out when I was five, are actually kind of really surprising. And more than that, I honestly do not believe that this movie could come out today. But more on that later. To start, what is Sister Act (I pray you all know, but just in case), and why is Sister Mary Clarence a strong female character? Sister Act is a bitchingly awesome musical that came out in 1992, and stars Whoopi Goldberg as Deloris Van Cartier, a lounge singer from Reno who accidentally witnesses her mob boss boyfriend (Harvey Keitel) kill someone, and has to go into witness protection. And because her WitSec officer has a sense of humor, he decides to hide Deloris where her boyfriend will never find her: a convent. It's the kind of really classic one sentence comedy that flourished in the 1980s and 1990s, and personally I think it's one of the best. Obviously Deloris isn't going to fit in with the nuns at the convent, and we've got a real fish out of water story on our hands, haven't we! Deloris immediately butts heads with the uptight Mother Superior (Maggie freaking Smith), and befriends some of the misfit nuns (most notably Kathy Najimy and Wendy Makkena). And, because she has musical experience, Mother Superior assigns her to the choir, to maybe help the ladies harmonize a bit better, and to give her something to do. Deloris, frustrated by how boring life is at the choir, and annoyed by all these old white women eating bran and praying all the time decides to shake it up a little. She teaches the choir to sing and harmonize, but she also teaches them how to, well, put some funk in it. And that's where the story really starts. It's not a story about Sister Mary Clarence (as she is now called) being changed and turned away from the awfulness of her life outside by the convent, nor is it a story about one woman fixing a horrible broken place. It's a movie where the two sides help each other, influence each other, and heal each other. Sister Mary Clarence teaches the nuns how to get back on the streets and really help people. She helps them relate to the new generations, and she uses the choir to draw people to the church who haven't been in years. The nuns, on the other hand, show her that she doesn't have to be hard to be strong. That there is room for faith, even in a secular life. And that loving people well, and truly believing that everything we do matters is important. At the end of the movie, everyone leaves changed. And it's a good thing. I feel it's important here to emphasize how unusual this storyline is. I mean, seriously, how many other movies can you think of that are explicitly about faith and love and the Church, but which never really force their opinion on you? I mean, the nuns in this movie are clearly in love with Jesus, totally sure that they have done the right thing in choosing this life. But Sister Mary Clarence, or Deloris, isn't a nun, and we don't actually know what she believes. She never says. And, the other characters never really press her. I mean, we can assume from the beginning of the movie that religion probably wasn't a big part of her life, but it's never really brought up again. And that's what I respect about this movie. Or, one of the things. Not that it never told us the faith of its main character, but that it left it open. The nuns love Jesus, and Deloris may or may not have any faith at all, but that doesn't mean they can't love each other and learn from each other. In reality, that's actually a much better application of the Gospel than most "religious" movies you see these days. By the end of the movie the nuns know Deloris is really a lounge singer, and they don't actually care. She's still their friend, and they still love her. That's what matters. The real life application of "Love thy neighbor," as manifested by a bunch of women loving their lounge singer friend. Okay, but why is Sister Mary Clarence, aka Deloris Van Cartier a strong female character? Well, as you can tell from the outline above, she's certainly an interesting one. But she's also really resilient. I mean, she goes from witnessing a murder and having her whole world torn out to living in a convent with a bunch of old white ladies, and while she complains a fair amount, she still lands on her feet. But more than that, she doesn't hold her prior experiences with nuns, which we see from the beginning were largely negative, against them. She lets these women be her friends, and they help change each other. That's being strong. 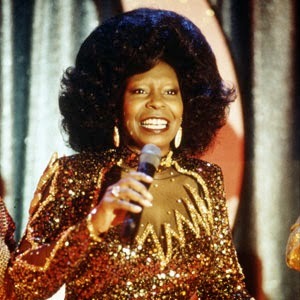 I also think that the ending, where Deloris is revealed, and she goes back to being a lounge singer, is actually a very courageous ending. It would have been a lot easier for the movie to keep her a nun. I mean, it's kind of safe there, right? She wouldn't have to worry about all the moral issues or frustrations of her previous life, and she would be settled in a community that loves and adores her, full of people she loves and adores, doing a ministry that is established, respected, and by the end of the film, pretty freaking popular. She could have stuck around and run the convent choir, a now internationally renowned institution, and lived happily for the rest of her life. She didn't. And that takes guts. It takes a lot to see that your time somewhere is over and to transfer somewhere else. To decide to pick up and move when the time is right. Deloris is moving into a world of unknowns now. She doesn't have a job anymore, nor does she really have a place to live, and while she is now more sure of herself and fulfilled, fulfillment doesn't really put a roof over your head. Still, she decides to try. And I like that about her. That's why the movie is good, and why Deloris/Mary Clarence is a strong female character. But what about the other bit? Why couldn't this movie come out today? Well, this ties in to a few factors. First, there's been a growing trend in Hollywood of the past twenty years to steer away from mid-budget action and comedy films, movies that aren't too expensive, but aren't exactly cheap either, which will bring a modest box office but definitely turn a profit, in favor of out and out blockbusters that cost billions and make even more (hopefully). Sister Act as a movie probably just wouldn't get picked up. Or it would be an indie. Or a movie made and marketed exclusively for the "black audience". Because that's a thing that happens and is super annoying. I think this ties in with who is in this movie, and what it's about. Sister Act is a comedy with a 99% female cast about nuns and lounge singers, where the main character is black, where race is an addressed issue, and where no one has a happy romantic ending. Oh, and all the female characters spend most of the movie in incredibly unflattering nun habits. I think I just gave a movie executive hives. Seriously, though, think about it. Think about Whoopi Goldberg's whole career. Can you imagine her having that career, having that long stretch of playing leading ladies, dramatic roles, side roles, complex figures, even the freaking Queen in Cinderella, today? Most people are lucky if they can name two commercially viable black actresses. And usually one of them is Whoopi. Or, maybe you can name more than two. Yay! Now, of those actresses, how many of them have been artificially shoe-horned into the "black movie" market? And that's sad. I hate that. I really do. I wish the industry weren't like that, but I still want to celebrate that it was once. Not that Ms. Goldberg was making her films in the height of cultural sensitivity (um, no), but that when Hollywood was less obsessed with abnormally large box office receipts, it was somehow easier to take a risk on a non-conventionally attractive, non-white actress. Lower budgets mean more risks. That's why indies are either terrible or great, and why blockbusters are usually so bland. Risks are good, they make life interesting. And you can see how the fear of failure has crippled our entertainment industry. But that's a lot of big talk. What's the takeaway here? Well, for starters, if you don't love Sister Act, I'm not sure we can be friends, or you're lying (in which case we definitely can't be friends), but also, it's important to remember that movies like Sister Act have been made and that they could be made again. It's not impossible. And, actually, it's pretty freaking important that they are made again. Soon. We need movies like this, so that little girls like, oh, say, Lupita N'yongo can look up at the screen and see an actress who looks like them, an actress who is funny and cool and at the top of her game, and realize that they can be a star. Or an astronaut. Or a superhero. Or whatever. Representation matters. It matters more than blockbusters, and it matters more than the safety of a sure bet. Representation can change the world, and it will. For better or worse.